I wanted to quickly put up last month’s Lip Monthly bag, as I’ve just received November’s! I already had the pictures taken eons ago and all the products stashed away in my crazy box of makeup – I just didn’t have time to put up this post before; but since I’m writing up November’s one, I thought I might as well squeeze in a quick one for October’s as well! Lip Monthly is a subscription box that costs USD12.95 a month, plus another USD5 for international shipping, which focuses on lip products. 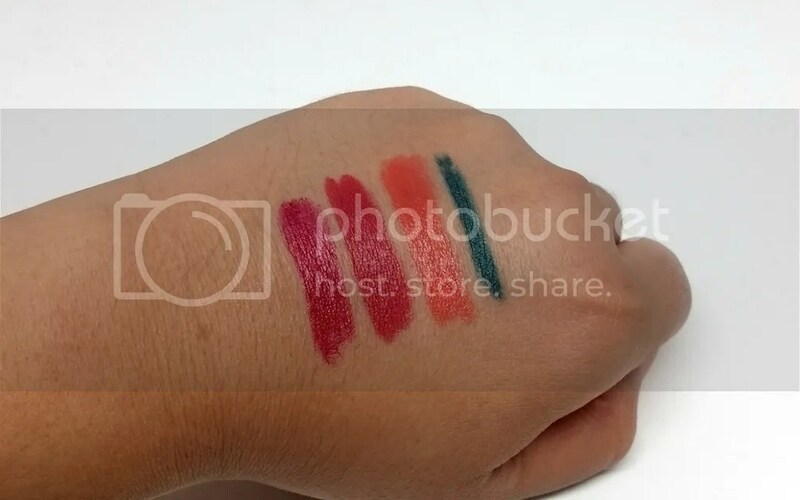 I have another JCats lipstick lying around, also received from a previous bag; I believe it’s the same product line too, just in a different colour. I like the colour but I don’t wear red lipsticks enough to warrant the number of red lipsticks I have so this will probably go to my Mum. I have this same product in another colour, which Lip Monthly sent in the previous bags. 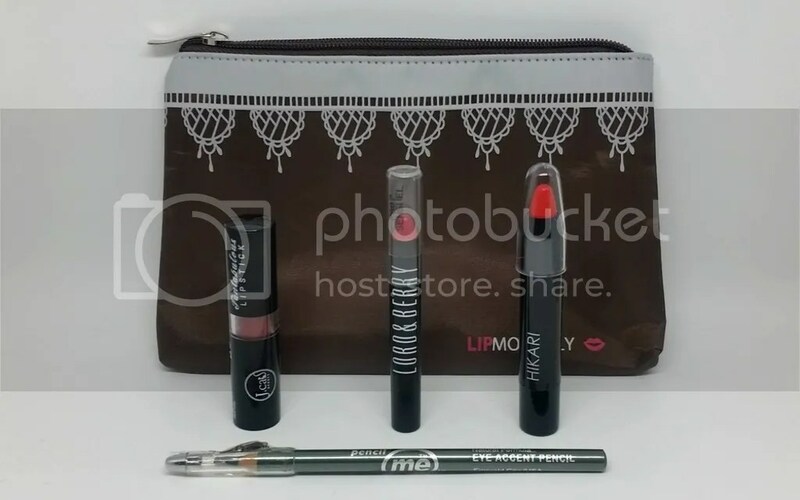 It’s pretty good – very pigmented and goes on smoothly, easy to use given its lip-pencil style, and it’s a lovely red berry shade, but I kind of want to try something new from the brand. I feel like screaming at this point already. The product is not bad, but I vaguely remember receiving this before though now I can’t find it. This orange shade is also not the best – I feel like it looks a little too yellow, and a little too light and shiny to pull off. Honestly this doesn’t feel like a USD7 eyeliner; it feels very cheap – I would have pegged this at about USD2. It is a nice colour though. I did a quick search online and couldn’t find any recent reviews on this brand which leads me to think that it might be a discontinued brand. I’m not that amazed with October’s bag, to be honest. Lip Monthly seems to be only working with a few brands because the same brands keep popping up. The ‘freshness’ of this subscription is long gone by now. The thing is, this bag is so cheap that I can’t really bear to end the subscription! I know it’s totally illogical, but I just keep thinking that something will change. But at some point, I will have so many Hikari, JCats, and Lord&Berry lip products that it overtakes my lip drawer – and I don’t think I want it that way. I think this might be my last few bags from them… What do you think?